How to make custom error page in ASP.NET MVC ? In this article we are going to discuss how to create custom error page in ASP.NET MVC ? 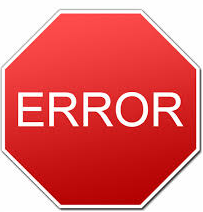 Initially you need to create a error controller. Now create the view under "Views/Error/NotFound.cshtml" as. create another view under "Views/Error/Index.cshtml" as.